New seasons in life come with many different emotions. If you like the current season you are in you might feel sad or fearful to move to a different season. On the contrary, you might be delighted to move into a new season if you have been walking through a difficult time. My husband and I have gone through many different seasons in our 10 years of marriage. We went from being newly weds in college, to having babies and toddlers in the house, on to being business owners and now homeschooling our elementary age kids. With each new season comes new challenges as well as new and unexpected blessings. Some seasons, like the baby phase, I was happy to move out of. No more diapers or middle of the night feedings. But while I'm not changing diapers I am figuring out how to homeschool my kids while still pursing other dreams God has planted in my heart. I remember when my kids were babies I would have older moms tell me to embrace the season. It was so hard for me to receive that at the time because I was overwhelmed, tired and missed alone time with my husband. But now that I am out of that season I see the many moments I took for granted. Never again will I nurse my children or be able to soothe them by rocking them to sleep. But I do see how the seeds of love and nurture I planted in them in that season of their life are now blooming. Because I took the time to nurture and grow them while they were young they are well adjusted children who are pursing their God given dreams and talents. Practice patience & have faith. I love reading about farmers and how they plant a crop then patiently wait for it to produce fruit. It takes a lot of faith for them to plant a tiny seed and believe it is going to grow into something so much bigger that can be used for many things. But I am certain with every year they do it the more patience and faith they have because they have seen it done before. This is why it is so immportan to read God's word and fill our minds with faith. As we read the stories in the Bible we fill ourselves with the truth that God is the same yesterday, today and forever and will continue to provide for His children. I am currently in a season where I am doing a lot of planting and watering. It is in these seasons that we must be patient and have faith that God will bring a harvest at the proper time if we don't give up(Galations 6:9). Share the good news of your harvest. When the season comes for you to harvest all the crops the Lord has given you, share it with others! I love that God made plants and fruits to contain seeds that when planted produce more plants and fruits! If you get fruit in your own life share it with others so it can build their faith and produce a harvest in their life as well. 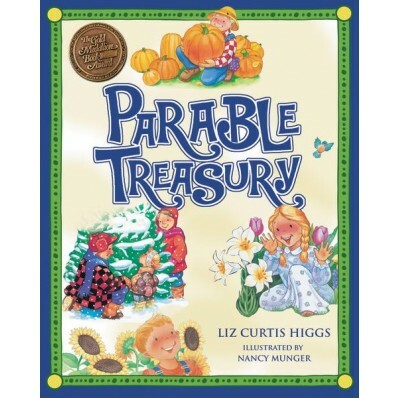 I recently received a book from Tommy Nelson Publishers to review called Parable Treasury. I was so excited to read it to my kids because it is exactly what the Lord has been speaking to me about seasons in our lives. I've already had to walk my kids through different seasons in life and this book gave simple yet biblical perspectives on new seasons in our lives. It reminds us that no matter what season we are in God is using it for a greater purpose. We may not always see the why but God is always working overtime on every detail of our life. The book contains 4 different parable stories for each of the 4 seasons of the year. One of my favorite parts were the scriptures that were on the bottom of each page. 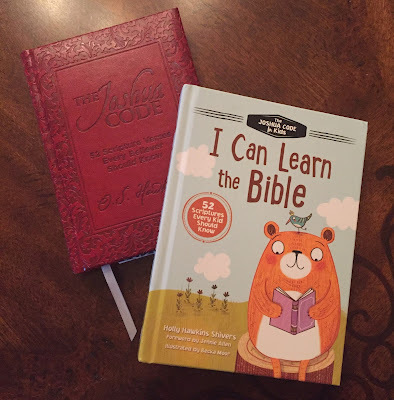 My 6 & 9 year old girls love this book! Would you like to win a FREE copy of this book? Simply comment below with your answer to this question to be entered: What season is your favorite and why?